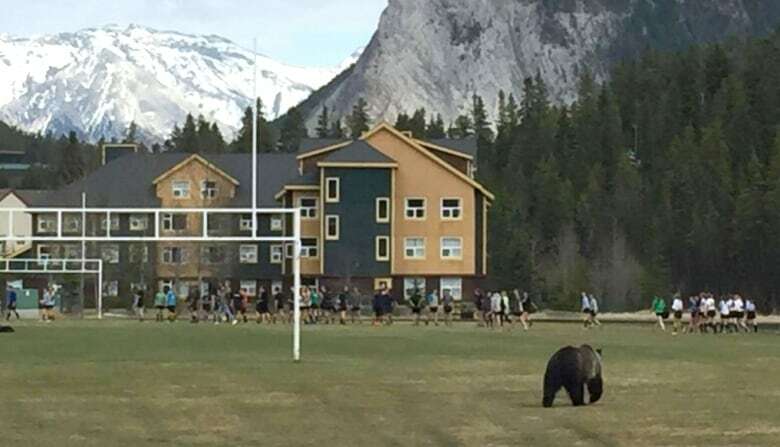 The grizzly has charged a man pushing a baby stroller, chased hikers and wandered through a high school rugby practice, but thousands of people in Banff and Canmore have petitioned the Alberta government not to consider killing the animal tagged as Bear 148. 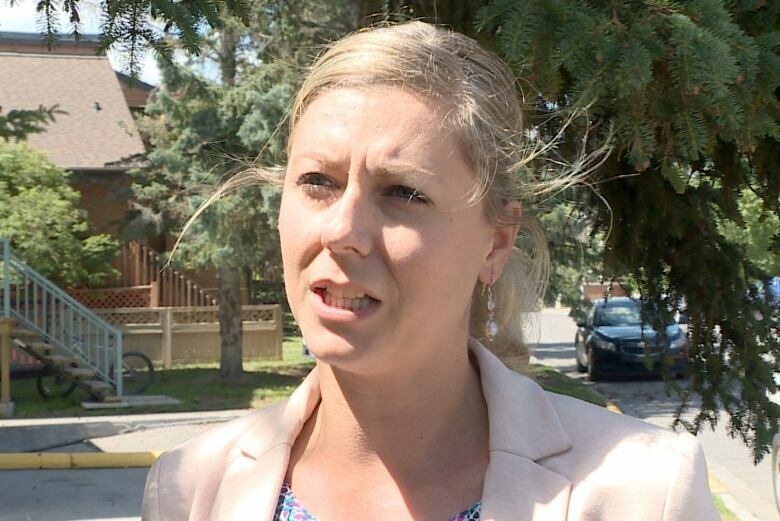 Earlier this week, provincial officials said they might have to put down the female grizzly if it displays any further aggressive behaviour while in Alberta parkland — a comment that prompted Banff residents Bree Todd and Stacey Sartoretto to start a petition against killing the animal. It has already garnered about 4,000 signatures. Todd and Sartoretto defend the bear's recent aggressive behaviour. "If she wanted to kill people and dogs, she could have killed people and dogs already," said Todd. "We want this bear alive, we want this bear protected. "She is just as much of a local as I am, or Stacey is, or anybody else in this town," said Todd, who has lived in the area for 11 years. "And she deserves the same respect as everybody else." Alberta Environment and Parks has softened its stance in recent days. "Our intent isn't to euthanize her," said Brett Boukall, a senior wildlife biologist with the province. "We share the public's concern for maintaining bears on the landscape. At the end of the day, our No. 1 priority is public safety." The bear was captured earlier this month by provincial fish and wildlife officers. In co-operation with Parks Canada officials, it was moved to the western edge of its home range in Kootenay National Park. Within a few days, the bear had returned to the Sunshine turnoff area in Banff National Park, near the centre of her original home range, according to Bill Hunt, resource conservation manager with Parks Canada. "That's a great place for Bear 148 to be," said Boukall, adding the animal is wearing a GPS collar that broadcasts its location every two hours. A recent study by Parks Canada suggested the population is healthy. Boukall said there are "roughly 100 bears or more" in the area.